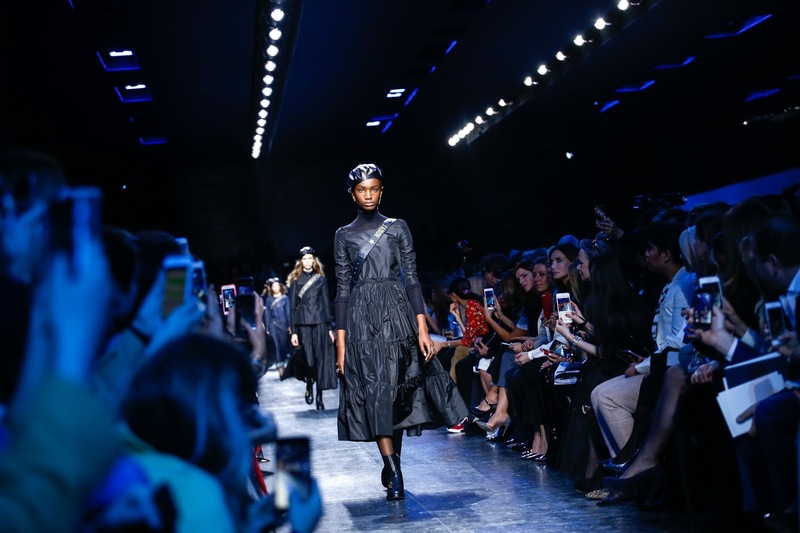 Maria Grazia Chiuri’s debut collection at the house of Christian Dior was the subject of a More4 documentary screened on British television a few weeks ago. (Effectively a reminder and extension to the fabulous Dior & I documentary which captured the making of Raf Simons’ debut couture collection.) In the sixty minute segment, Chiuri remarked how she wants to encapsulate who the modern Dior woman is and what would she wear. The answer married feminism and fencing: there were fencing suits, padded bustiers and quirky hats fashioned by milliner Stephen Jones and problematic ‘We Should All Be Feminists’ t-shirts which capitalised on the women’s rights movement. There were intriguing propositions, a reworking of the iconic Bar jacket and exemplary tailoring options but there was an unmistakable sense of Valentino in the evening wear. It was derivative of her previous work. 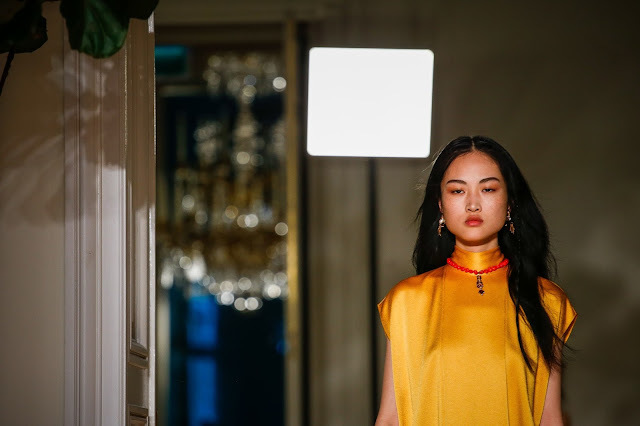 With that behind the house, Chiuri embarked on the development of her first couture collection at the French brand. It was inspired by masquerade balls and Alice in Wonderland. It was dreamy and the tailoring that opened the show was sumptuously executed—it was distinctly Dior. The denouement consisted of princess-worthy evening gowns that were decidedly Valentino. Back to the drawing board she went and her Fall 2017 show presented last Friday afternoon struck the closest to the Dior signature she's gotten. She wanted to explore Monsieur Christian Dior’s favourite colour: navy blue. According to the show notes, the colour is the only one that can compete with black. 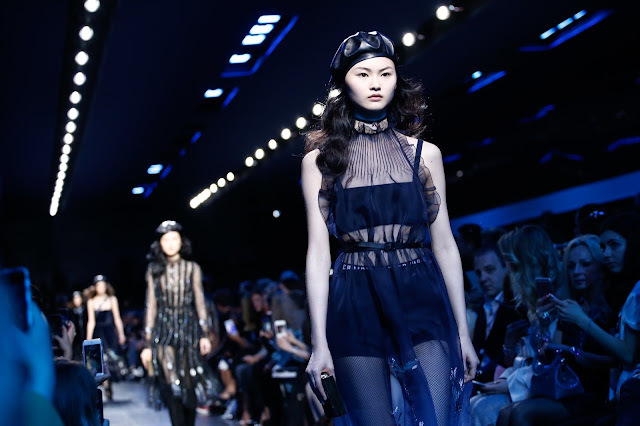 Each look in the collection came in varying hues of blue. (The show’s conviction reminded one of Galliano-era genius but this is a different time for Dior. That same spirit has been drained from the house with the never-ending game of musical chairs.) Chiuri introduced denim and continued to discover the nuances of the Bar. There was something militaristic about the berets and the marching of the models. There was a confidence to the collection but an unerring sense that Chiuri once again missed the mark. Yes, there were references to Galliano’s drama and the bubbling of sexuality under the surface à la Raf, but there was nothing that shouted Maria Grazia Chiuri. There’s still time for her to prove herself but in the meantime what we’re left with is a shoddy collection that was both boring and uninspired. Maria Grazia Chiuri has potential, there’s a reason she was hired, but her perspective has yet to truly break new ground. 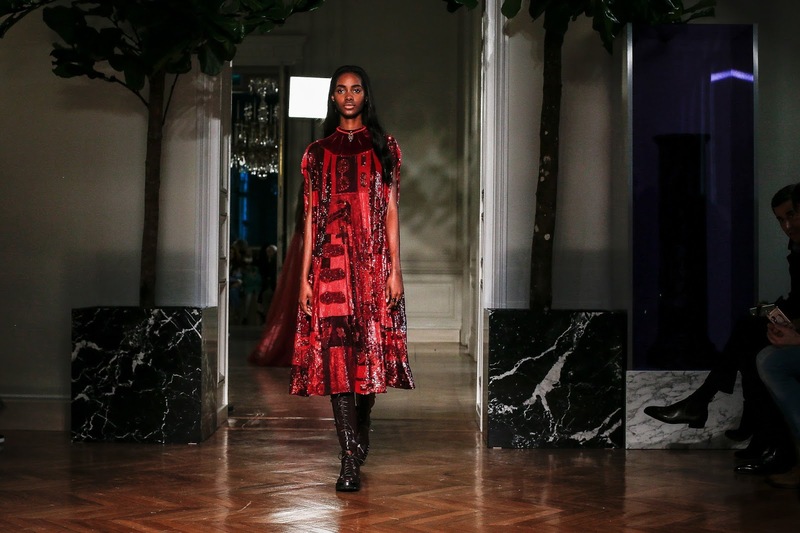 Breaking new ground has characterised Pier Paolo Piccioli’s solo outings at Italian house Valentino in the absence of his former design partner Chiuri. His first few collections explored the 70s and the punk movement. 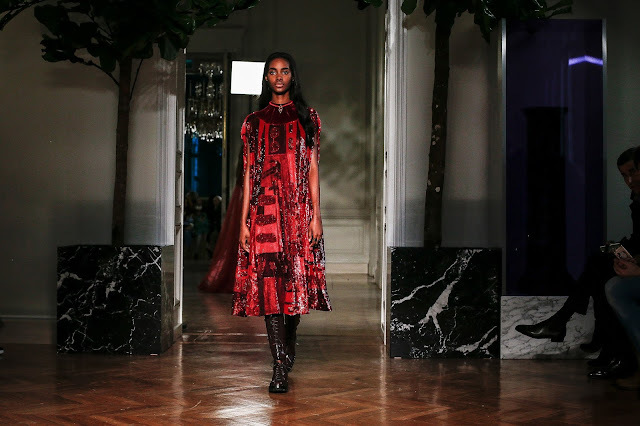 His trial and error methodology emerged after years of compromise—that said, it’s difficult to use the word ‘error’ in the same sentence as ‘Valentino collection’ seeing as Piccioli is a remarkable designer who rarely steps a foot out of line. The newfound hardened femininity of Valentino has been a breath of fresh air, a departure from the excess of celestially-inclined evening gowns and mini dresses that dominated the runway for years upon years. Fall 2017 captured the Memphis design movement of the 1980s and Victoriana. Coupling the prim and proper nature of Valentino and its signature referential proclivities of interpreting and reinterpreting the late 1800s with the block colours of the 1980s design and architectural movement. There was a bubblegum pink leather trench with a red dress and raspberry boots, a marigold shift with burgundy lace-ups, a turquoise tunic with aqua boots—it was a departure from the frothy princess gowns but that’s not to say the collection was void of those. The gothic undertones that punctuated the collection too were a departure, a certain toughness that contrasted with the delicate and fragile femininity of the previous years. One thing that struck this critic about Piccioli’s singular vision is how he manages to imbue strength into the Valentino woman while maintaining the necessary feminine frills to satisfy the existing clientele. 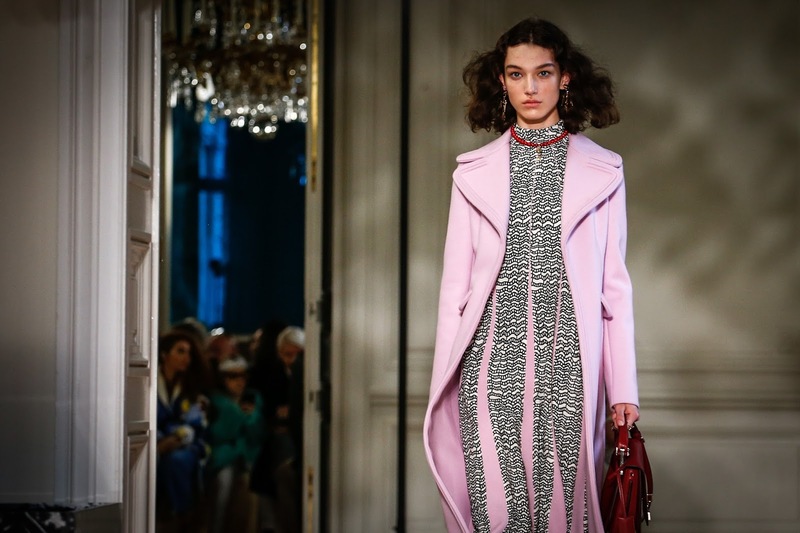 There has been nothing short of brilliance at Valentino since Piccioli assumed his position with design autonomy. There has been intrigue, often to varying degrees of success but there is felt emotion nonetheless. At the end of the show, Piccioli took his final bow with a beaming smile. The response gave him reason to smile—he gave us a reason to.